The Resilience Framework is designed for practitioners working within the Wakefield District. The purpose of the framework is to reduce risk and to build resilience, and in doing-so will improve health, educational and social outcomes for children and young people. 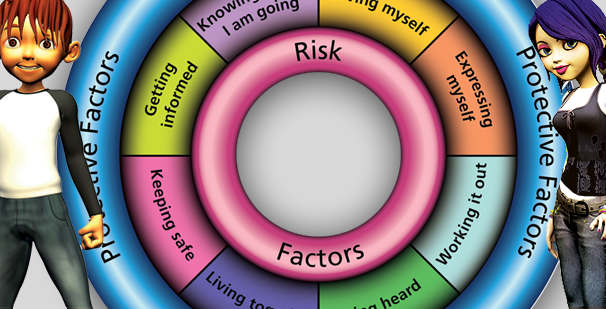 The Resilience Framework website is designed for practitioners working within the Wakefield District to support children and young people to develop and build their resilience. The framework has a number of supporting tools including an online questionnaire and the paper based conversation tool; both will help you identify the skills and competences children and young people need to build or overcome to reduce poor outcomes. You can even use the competences from within the framework to create your own bespoke questionnaire to support an Early Help or Health Needs assessment. The Resilience Framework can be used with any assessment process. Alongside the framework there is a ‘Resource’ area where you can explore a selection of printable lesson plans and short interventions. These are tried and tested to motivate and help develop the practical skills, protective factors and core competences children and young people need to be resilient. To access the website you will need to register and your account will be activated within 2 working days.